One Owner W/ Clean CarFax, Balance of Factory Warranty, Adjustable Front Bucket Seats, Electronic Stability Control, Speed-sensing steering, Steering wheel mounted audio controls, Variably intermittent wipers. 2018 Nissan Versa 1.6 S Plus Super Black 1.6L 4-Cylinder DOHC 16V FWD CVT with Xtronic CARFAX One-Owner. Clean CARFAX. Priced below KBB Fair Purchase Price! 31/39 City/Highway MPG Nissan South conveniently located off Interstate-75 at 6889 Jonesboro Rd, Morrow, GA operates on our solid reputation of having the latest Nissan models, quality pre-owned vehicles in a large variety of makes and models, an affordable payment savvy finance department, as well as a professionally trained service and parts center to serve every customer’s automotive needs. If you’re searching for a new or pre-owned Nissan with low monthly payments, come by the Nissan South dealership. We look forward to assisting you find the car, truck, SUV or minivan that you want. Nissan South also offers automotive loan financing through our Finance Department. Ask one of our finance managers about our Credit Assistance Program. Our dedicated team of sales and finance associates treat our customers with care and take your automotive concerns seriously. Our mission is for you to have a pleasurable car-buying experience with us and see you drive away in your new or used Nissan! Come by our dealership at 6889 Jonesboro Road in Morrow or call us at (770) 968-1360. We look forward to assisting all our customers in the greater Atlanta area. CVT with Xtronic, charcoal Cloth. 2017 Nissan Sentra SV Brilliant Silver 1.8L 4-Cylinder DOHC 16V FWD CVT with Xtronic CARFAX One-Owner. Clean CARFAX. 29/37 City/Highway MPG Nissan South conveniently located off Interstate-75 at 6889 Jonesboro Rd, Morrow, GA operates on our solid reputation of having the latest Nissan models, quality pre-owned vehicles in a large variety of makes and models, an affordable payment savvy finance department, as well as a professionally trained service and parts center to serve every customer’s automotive needs. If you’re searching for a new or pre-owned Nissan with low monthly payments, come by the Nissan South dealership. We look forward to assisting you find the car, truck, SUV or minivan that you want. Nissan South also offers automotive loan financing through our Finance Department. Ask one of our finance managers about our Credit Assistance Program. Our dedicated team of sales and finance associates treat our customers with care and take your automotive concerns seriously. Our mission is for you to have a pleasurable car-buying experience with us and see you drive away in your new or used Nissan! Come by our dealership at 6889 Jonesboro Road in Morrow or call us at (770) 968-1360. We look forward to assisting all our customers in the greater Atlanta area. One Owner W/ Clean CarFax, Balance of Factory Warranty, charcoal Cloth, 6 Speakers, AM/FM/CD Audio System, Delay-off headlights, Electronic Stability Control, Exterior Parking Camera Rear, Fully automatic headlights, Illuminated entry, Power windows, Radio data system, Remote keyless entry, Security system, Steering wheel mounted audio controls. 2017 Nissan Sentra SV Fresh Powder 1.8L 4-Cylinder DOHC 16V FWD CVT with Xtronic CARFAX One-Owner. Clean CARFAX. Priced below KBB Fair Purchase Price! 29/37 City/Highway MPG Nissan South conveniently located off Interstate-75 at 6889 Jonesboro Rd, Morrow, GA operates on our solid reputation of having the latest Nissan models, quality pre-owned vehicles in a large variety of makes and models, an affordable payment savvy finance department, as well as a professionally trained service and parts center to serve every customer’s automotive needs. If you’re searching for a new or pre-owned Nissan with low monthly payments, come by the Nissan South dealership. We look forward to assisting you find the car, truck, SUV or minivan that you want. Nissan South also offers automotive loan financing through our Finance Department. Ask one of our finance managers about our Credit Assistance Program. Our dedicated team of sales and finance associates treat our customers with care and take your automotive concerns seriously. Our mission is for you to have a pleasurable car-buying experience with us and see you drive away in your new or used Nissan! Come by our dealership at 6889 Jonesboro Road in Morrow or call us at (770) 968-1360. We look forward to assisting all our customers in the greater Atlanta area. 2018 Kia Forte LX Silky Silver 2.0L I4 DOHC Dual CVVT FWD 6-Speed Automatic CARFAX One-Owner. Clean CARFAX. Priced below KBB Fair Purchase Price! Odometer is 10496 miles below market average! 29/37 City/Highway MPG Nissan South conveniently located off Interstate-75 at 6889 Jonesboro Rd, Morrow, GA operates on our solid reputation of having the latest Nissan models, quality pre-owned vehicles in a large variety of makes and models, an affordable payment savvy finance department, as well as a professionally trained service and parts center to serve every customer’s automotive needs. If you’re searching for a new or pre-owned Nissan with low monthly payments, come by the Nissan South dealership. We look forward to assisting you find the car, truck, SUV or minivan that you want. Nissan South also offers automotive loan financing through our Finance Department. Ask one of our finance managers about our Credit Assistance Program. Our dedicated team of sales and finance associates treat our customers with care and take your automotive concerns seriously. Our mission is for you to have a pleasurable car-buying experience with us and see you drive away in your new or used Nissan! Come by our dealership at 6889 Jonesboro Road in Morrow or call us at (770) 968-1360. We look forward to assisting all our customers in the greater Atlanta area. Alloy wheels, Automatic temperature control, Power windows, Remote keyless entry, Speed control. 2013 Nissan Murano S Brilliant Silver 3.5L V6 DOHC FWD CVT with Xtronic CARFAX One-Owner. Clean CARFAX. 18/24 City/Highway MPG Nissan South conveniently located off Interstate-75 at 6889 Jonesboro Rd, Morrow, GA operates on our solid reputation of having the latest Nissan models, quality pre-owned vehicles in a large variety of makes and models, an affordable payment savvy finance department, as well as a professionally trained service and parts center to serve every customer’s automotive needs. If you’re searching for a new or pre-owned Nissan with low monthly payments, come by the Nissan South dealership. We look forward to assisting you find the car, truck, SUV or minivan that you want. Nissan South also offers automotive loan financing through our Finance Department. Ask one of our finance managers about our Credit Assistance Program. Our dedicated team of sales and finance associates treat our customers with care and take your automotive concerns seriously. Our mission is for you to have a pleasurable car-buying experience with us and see you drive away in your new or used Nissan! Come by our dealership at 6889 Jonesboro Road in Morrow or call us at (770) 968-1360. We look forward to assisting all our customers in the greater Atlanta area. Power windows, Rear window wiper, Remote keyless entry, Security system, Spoiler, Variably intermittent wipers. 2013 Nissan Rogue S Super Black 2.5L I4 DOHC 16V FWD CVT CARFAX One-Owner. Odometer is 26617 miles below market average! 23/28 City/Highway MPG Nissan South conveniently located off Interstate-75 at 6889 Jonesboro Rd, Morrow, GA operates on our solid reputation of having the latest Nissan models, quality pre-owned vehicles in a large variety of makes and models, an affordable payment savvy finance department, as well as a professionally trained service and parts center to serve every customer’s automotive needs. If you’re searching for a new or pre-owned Nissan with low monthly payments, come by the Nissan South dealership. We look forward to assisting you find the car, truck, SUV or minivan that you want. Nissan South also offers automotive loan financing through our Finance Department. Ask one of our finance managers about our Credit Assistance Program. Our dedicated team of sales and finance associates treat our customers with care and take your automotive concerns seriously. Our mission is for you to have a pleasurable car-buying experience with us and see you drive away in your new or used Nissan! Come by our dealership at 6889 Jonesboro Road in Morrow or call us at (770) 968-1360. We look forward to assisting all our customers in the greater Atlanta area. Recent Arrival! 2017 Nissan Versa 1.6 SV Brilliant Silver 1.6L I4 DOHC 16V FWD CVT with Xtronic CARFAX One-Owner. Clean CARFAX. 31/39 City/Highway MPG Nissan South conveniently located off Interstate-75 at 6889 Jonesboro Rd, Morrow, GA operates on our solid reputation of having the latest Nissan models, quality pre-owned vehicles in a large variety of makes and models, an affordable payment savvy finance department, as well as a professionally trained service and parts center to serve every customer’s automotive needs. If you’re searching for a new or pre-owned Nissan with low monthly payments, come by the Nissan South dealership. We look forward to assisting you find the car, truck, SUV or minivan that you want. Nissan South also offers automotive loan financing through our Finance Department. Ask one of our finance managers about our Credit Assistance Program. Our dedicated team of sales and finance associates treat our customers with care and take your automotive concerns seriously. Our mission is for you to have a pleasurable car-buying experience with us and see you drive away in your new or used Nissan! Come by our dealership at 6889 Jonesboro Road in Morrow or call us at (770) 968-1360. We look forward to assisting all our customers in the greater Atlanta area. 2016 Nissan Versa Note SR metallic peacock 1.6L 4-Cylinder DOHC 16V FWD CVT with Xtronic CARFAX One-Owner. Clean CARFAX. Priced below KBB Fair Purchase Price! 31/39 City/Highway MPG Nissan South conveniently located off Interstate-75 at 6889 Jonesboro Rd, Morrow, GA operates on our solid reputation of having the latest Nissan models, quality pre-owned vehicles in a large variety of makes and models, an affordable payment savvy finance department, as well as a professionally trained service and parts center to serve every customer’s automotive needs. If you’re searching for a new or pre-owned Nissan with low monthly payments, come by the Nissan South dealership. We look forward to assisting you find the car, truck, SUV or minivan that you want. Nissan South also offers automotive loan financing through our Finance Department. Ask one of our finance managers about our Credit Assistance Program. Our dedicated team of sales and finance associates treat our customers with care and take your automotive concerns seriously. Our mission is for you to have a pleasurable car-buying experience with us and see you drive away in your new or used Nissan! Come by our dealership at 6889 Jonesboro Road in Morrow or call us at (770) 968-1360. We look forward to assisting all our customers in the greater Atlanta area. Recent Arrival! marble gray Cloth, Fully automatic headlights, Outside temperature display, Power windows, Remote keyless entry, Speed control, Steering wheel mounted audio controls. 2015 Nissan Sentra S Fresh Powder 1.8L 4-Cylinder DOHC 16V FWD CVT with Xtronic Priced below KBB Fair Purchase Price! Nissan South conveniently located off Interstate-75 at 6889 Jonesboro Rd, Morrow, GA operates on our solid reputation of having the latest Nissan models, quality pre-owned vehicles in a large variety of makes and models, an affordable payment savvy finance department, as well as a professionally trained service and parts center to serve every customer’s automotive needs. 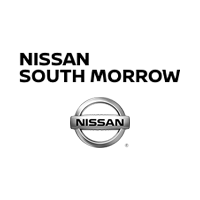 If you’re searching for a new or pre-owned Nissan with low monthly payments, come by the Nissan South dealership. We look forward to assisting you find the car, truck, SUV or minivan that you want. Nissan South also offers automotive loan financing through our Finance Department. Ask one of our finance managers about our Credit Assistance Program. Our dedicated team of sales and finance associates treat our customers with care and take your automotive concerns seriously. Our mission is for you to have a pleasurable car-buying experience with us and see you drive away in your new or used Nissan! Come by our dealership at 6889 Jonesboro Road in Morrow or call us at (770) 968-1360. We look forward to assisting all our customers in the greater Atlanta area. Recent Arrival! 2018 Kia Forte LX Deep Sea Blue 2.0L I4 DOHC Dual CVVT FWD 6-Speed Automatic CARFAX One-Owner. Clean CARFAX. 29/37 City/Highway MPG Nissan South conveniently located off Interstate-75 at 6889 Jonesboro Rd, Morrow, GA operates on our solid reputation of having the latest Nissan models, quality pre-owned vehicles in a large variety of makes and models, an affordable payment savvy finance department, as well as a professionally trained service and parts center to serve every customer’s automotive needs. If you’re searching for a new or pre-owned Nissan with low monthly payments, come by the Nissan South dealership. We look forward to assisting you find the car, truck, SUV or minivan that you want. Nissan South also offers automotive loan financing through our Finance Department. Ask one of our finance managers about our Credit Assistance Program. Our dedicated team of sales and finance associates treat our customers with care and take your automotive concerns seriously. Our mission is for you to have a pleasurable car-buying experience with us and see you drive away in your new or used Nissan! Come by our dealership at 6889 Jonesboro Road in Morrow or call us at (770) 968-1360. We look forward to assisting all our customers in the greater Atlanta area. Recent Arrival! Balance of Factory Warranty, Factory Alloy Wheels. 2018 Kia Forte LX Silky Silver 2.0L I4 DOHC Dual CVVT FWD 6-Speed Automatic CARFAX One-Owner. Clean CARFAX. 29/37 City/Highway MPG Nissan South conveniently located off Interstate-75 at 6889 Jonesboro Rd, Morrow, GA operates on our solid reputation of having the latest Nissan models, quality pre-owned vehicles in a large variety of makes and models, an affordable payment savvy finance department, as well as a professionally trained service and parts center to serve every customer’s automotive needs. If you’re searching for a new or pre-owned Nissan with low monthly payments, come by the Nissan South dealership. We look forward to assisting you find the car, truck, SUV or minivan that you want. Nissan South also offers automotive loan financing through our Finance Department. Ask one of our finance managers about our Credit Assistance Program. Our dedicated team of sales and finance associates treat our customers with care and take your automotive concerns seriously. Our mission is for you to have a pleasurable car-buying experience with us and see you drive away in your new or used Nissan! Come by our dealership at 6889 Jonesboro Road in Morrow or call us at (770) 968-1360. We look forward to assisting all our customers in the greater Atlanta area.